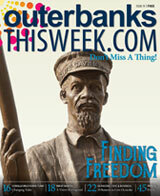 Outer Banks This WeekSubmit Your Events! If you're not among the many businesses and organizations getting their word out through all the Outer Banks This Week channels. Please complete the form below and then click the SUBMIT button at the bottom of the page. We will acknowledge the form with a receipt and an Outer Banks This Week representative will be in touch with you within two business days. Thank you!